When you describe a cartoonist (Normal McLaren) and Madlib as being some of your biggest influences, your music might be more than a little colorful. That's the case with Jonti, Stones Throw Records' first Australian signee. "Christmas Worm" is a playful tune that arrives just in time for the holidays, and will take you back to a time when you liked Santa more than you did SantaCon. Peanut Butter Wolf has said he's scared by the guy's production abilities, as in, he's that talented. And he certainly stands his ground among other Stones Throw recruits as "Christmas Worm" is part of a limited edition release that includes Homeboy Sandman, MED, and The Step Kids. 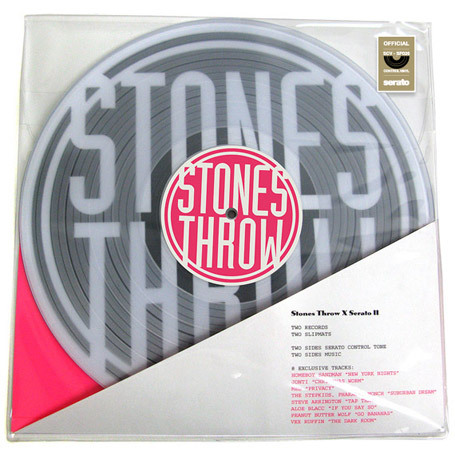 Stones Throw and Serato have partnered again to put out a 2-disc vinyl that includes "Christmas Worm," "New York Nights," a track by Homeboy Sandman, and "Suburban Dream (Union Remix)" by The Stepkids.